Knowing which vintage model Mixmaster you have is crucial when repairs or parts are needed. A lot of folks aren't sure how to locate the numbers or which ones are used, so I thought it might be helpful to put the instructions here on the website. 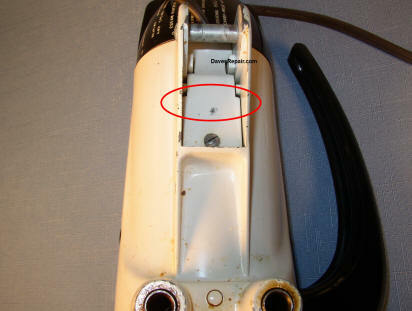 To find your Sunbeam Mixmaster's model number, unlatch the mixer's motor from its stand and turn it over. 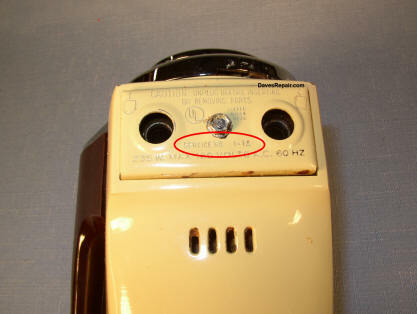 On older models (3-12) with a cord that enters the motor from the rear and doesn't unplug, you'll find the model number on the junction box cover plate, just in front of the big steel mounting pin. These can be very hard to read, because Sunbeam stamped them onto the cover, often pretty lightly, then sprayed a thick coat of paint over them. Typical numbers are: 5A, 10A, 12, etc. You'll also find a serial number stamped onto the body of most motors through the model 11, but the model number is what I need to help you with repair advice, parts, manuals, etc. Note: if your eyes are anywhere near the age of mine, you'll find a strong light and magnifying glass really helpful. On later, 70's and 80's models, Sunbeam complicated things a bit by changing the number we need from "model number" to "service number", but it's a lot easier to read. As a general rule, 70's models normally have a cord that unplugs from the right side of the motor. 80's cords usually connect to the right side, too, but are permanently attached. On 70's and most 80's mixers, you'll also find the number underneath the motor, but it's usually stamped into the rectangular beater eject plate where you insert the beaters. Some common numbers to look for are: MMA, MMB, 1-7A, 1-8B, etc. There doesn't appear to be much "rhyme or reason" to Sunbeam's "service number" system during that time, but the good news is, they're all very reliable little machines, requiring very little repair or maintenance. Unlike the earlier designs, they require no periodic oiling, and have none of the oiling ports of their older models. Note: To get an idea what year your Mixmaster was manufactured, visit this page. I hope that's of some help. As always, if you have any questions about your Mixmaster, please feel free to drop me an email any time.